Safety Fest TN welcomes Champion Sponsor Industrial Training International! On a mission for Safety! Registration for Safety Fest TN has launched! ISHN covers Safety Fest TN! Safety Fest TN welcomes Strategic Resource Alliance as a Title Sponsor! Registration for Safety Fest TN 2019 launched yesterday! Safety Fest TN welcomes TOSHA as a co-sponsor, exhibitor, and provider! Safety Fest TN welcomes Mesa Associates, Inc. as a Title Sponsor, Provider, and Exhibitor! Safety Fest TN welcomes Scientific Sales, Inc. as a Champion Sponsor and Exhibitor! Safety Fest TN welcomes ORAU as Partner, Title Sponsor, Provider & Co-Host! Safety Fest TN welcomes UCOR as a Partner, Title Sponsor and Provider! Safety Fest TN Online Registration Launches Next Week! That’s a ‘lotta’​ logo! Where’s yours? Safety Fest TN on WBIR’s Live at Five at Four! Safety Fest TN welcomes Title Sponsor Mesa Associates, Inc. Thank you OSHA for your coverage of Safety Fest TN in August 15, 2018, Volume 17, Issue 16 of QuickTakes! 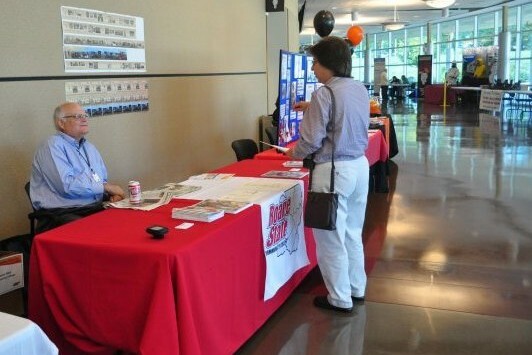 Safety Fest TN welcomes provider & exhibitor Roane State Community College! Safety, across Tennessee and beyond. Safety Fest TN welcomes Champion Sponsor and Exhibitor Scientific Sales, Inc.
UT is a Partner and Provider of free safety classes at Safety Fest TN! Safety Fest TN welcomes BGI as a Champion Sponsor, Provider & Exhibitor! Safety Fest TN welcomes CNS as a Partner, Title Sponsor, Provider & Co-Host! Safety Fest TN welcomes LATA as a Break Sponsor! Adrian’s Safety Solutions sponsors and will exhibit at Safety Fest TN! Safety Fest TN welcomes Navarro as a Title Sponsor! TDEC sponsors and will exhibit at Safety Fest TN! Safety Fest TN can help you thaw out your Chilled Work Environment! Community Safety Forum – What a lineup!!! Safety Fest TN welcomes Title Sponsor Atkins! Who are you? Who comes? And, what do they do? Safety Fest TN welcomes Title Sponsor and Provider Mesa Associates! ISHN features Safety Fest TN! Safety & Non-English Speaking Employees? This Safety Fest TN class can help! Wolf Tree provides a free safety class at Safety Fest TN! Silica exposure got you worried? It should! This free Safety Fest TN class can help! Core Safety Group sponsors Safety Fest TN! Applied Ergonomics for Plant Design. A free safety class at Safety Fest TN. World Class Safety! A Featured Session at Safety Fest TN! ORUD sponsors and will exhibit at Safety Fest TN! Peak Safety Performance provides a free safety class at Safety Fest TN! Primerica sponsors and will exhibit at Safety Fest TN! Radians sponsors and will exhibit at Safety Fest TN! “Secret City” Fire Officer Conference at Safety Fest TN! USW Local 9-288 provides free safety training at Safety Fest TN! Safety Fest TN welcomes the City of Oak Ridge as Partner, Sponsor and Provider! Risk or Reward: Why Do We Take Chances? Safety Fest TN welcomes AECOM as Title Sponsor! Elliott’s Boots sponsors and will exhibit at Safety Fest TN! IPi sponsors and will exhibit at Safety Fest TN! ICWUC Center for Worker Health & Safety Education provides free training at Safety Fest TN! Training Solutions, Inc. will provide free training at Safety Fest TN! Safety Fest TN welcomes Fortier Loss Control Consultants as a sponsor and exhibitor! Joe Estey presents “What’s on your Mind?” at Safety Fest TN! EKU’s OSHA Training Institute Education Center provides free training at Safety Fest TN! Safety Fest TN welcomes Solid Ground Cords as a Title Sponsor and Exhibitor! Safety Fest TN registration has launched! Safety Fest TN welcomes Knox County as Title Sponsor! Safety Fest TN welcomes CNS as Partner, Title Sponsor,Provider and Host! Frham sponsors and will exhibit at Safety Fest TN! Industrial Strength Sunscreen sponsors and will exhibit at Safety Fest TN! Brady sponsors and will exhibit at Safety Fest TN! Roane State Community College provides free safety classes at Safety Fest TN! East Tennessee Chapter of the ASSE to exhibit at Safety Fest TN! North Wind Group – another great Title Sponsor for Safety Fest TN 2016! Grits Gang Sponsors and will Exhibit at Safety Fest TN! Safety Fest TN welcomes Scott Insurance as a Title Sponsor! UT provides free safety classes at Safety Fest TN! CPR Choice Sponsors Safety Fest TN and will Exhibit at the 2016 Safety Expo! Kendall Electric to Sponsor and Exhibit at the 2016 Safety Fest TN! Spectra Tech to Sponsor and Exhibit at the 2016 Safety Fest TN! Safety Fest TN welcomes Rockwell Automation as a Partner, Title Sponsor and Provider! Eckert Chiropractic to Sponsor and Exhibit at Safety Fest TN! PCI to Sponsor and Exhibit at Safety Fest TN! PureFlo to Sponsor and Exhibit at Safety Fest TN! TOSHA & Safety Fest TN. Together Again! Lucas to provide Human Performance Improvement & Safety Culture training, free, at Safety Fest TN! Safety Fest TN welcomes Title Sponsor & Exhibitor GEM Technologies! Associated Scaffolding to Sponsor & Exhibit at Safety Fest TN! Southern Safety Supply Exhibits at Safety Fest TN! Banda Group International to Sponsor & Exhibit at Safety Fest TN! Scientific Sales, Inc. to Sponsor & Exhibit at Safety Fest TN! Why Safety Fest TN? 4,821 reasons! Safety Fest TN welcomes Pro2Serve as a Sponsor & Exhibitor! Safety Culture: It’s a Community Thing. Wednesday, May 11th. Centrus Energy sponsors Safety Fest TN! Lynx Supply to sponsor & exhibit at Safety Fest TN! North Wind to sponsor & exhibit at Safety Fest TN! UniMove to sponsor & exhibit at Safety Fest TN! United Rentals – Title Sponsor of Safety Fest TN! Burns Phillips, Commissioner of Tennessee Department of Labor & Workforce Development promotes Safety Fest TN! Latchways Fall Protection to sponsor & exhibit at Safety Fest TN! Pike Electric Live Line Demonstration at Safety Fest TN! AECOM Slip Simulator comes to Safety Fest TN! CPR Choice to sponsor & exhibit at Safety Fest TN! ETEBA – Title Sponsor of Safety Fest TN! EnSafe to provide training at Safety Fest TN! AECOM – Title Sponsor of Safety Fest TN! Strategic Resource Alliance – Title Sponsor of Safety Fest TN! Assured Bio to Sponsor & Exhibit at Safety Fest TN! Energy Solutions sponsors & provides training at Safety Fest TN! Edwards to sponsor & exhibit at Safety Fest TN! Wolf Tree to provide Chain Saw Safety training at Safety Fest TN! UT-Battelle sponsors Safety Fest TN! ORAU – Title Sponsor of Safety Fest TN! USW Local 9-288 provides training for Safety Fest TN! Strata-G Sponsors Safety Fest TN! Eastern Kentucky University provides trainers for Safety Fest TN! RSCC provides trainers to Safety Fest TN! UCOR – Title Sponsor of Safety Fest TN!!! UniTech – Sponsor & Exhibitor at Safety Fest TN! Wastren Advantage Inc. – Title Sponsor of Safety Fest TN!!! TES Inc. to sponsor & exhibit at Safety Fest TN! The University of Tennessee, Knoxville provides trainers to Safety Fest TN! Tennessee OSHA Co-Sponsors Safety Fest TN! Eckert Chiropractic to sponsor & exhibit at Safety Fest TN! “Secret City” Fire Officer Conference! Online registration is open! Street Legal sponsors Safety Fest TN! Grainger to sponsor and exhibit at Safety Fest TN! U.S. Safety Glasses to sponsor & exhibit! Safety Fest TN welcomes GEM as Title Sponsor! Rockwell to sponsor & exhibit at Safety Fest TN! Kendall to sponsor & exhibit at Safety Fest TN! VaGa to sponsor & exhibit at Safety Fest TN! Bednet® to sponsor and exhibit at Safety Fest TN! Dade Moeller sponsors Safety Fest TN! Safety Fest TN! Save the Dates! Community Safety Forum, Wednesday, January 28th from 8:00 – 10:00 a.m.
Community Safety Forum on Wednesday, December 3rd! Safety Fest TN: makes a difference in Hispanic community! Safety Fest TN a success! ShoffnerKalthoff sponsors Safety Fest TN! ORAU, CNS experts to discuss effective safety communications during Safety Fest TN 2014! Commissioner Burns Phillips – Tennessee Department of Labor and Workforce Development! OH&S Online features Safety Fest TN! Safety Fest TN is a week of free safety classes & seminars, a Safety Expo, and a community Safety Forum. Registration is open but space is limited. Please register to ensure there is enough room! A complete schedule and registration links can be found at www.safetyfesttn.org. The Safety Expo is sold-out but sponsorships are still available! HomeAdvisor sponsors Safety Fest TN! Oak Ridge Today features Safety Fest TN! 2 new Free safety classes added to Safety Fest TN! Alliant exhibits at Safety Fest TN! Avisco, Inc. exhibits at Safety Fest TN! Value Added Solutions, Inc. exhibits at Safety Fest TN! On Demand Safety exhibits at Safety Fest TN! Consolidated Nuclear Security, LLC sponsors Safety Fest TN! Bednet Cargo Control Solutions exhibits at Safety Fest TN! We Sold Out, We Added More – Safety Expo! Scripps Networks Interactive sponsors Safety Fest TN! Bruce Wilkinson kicks-off Safety Fest TN! MSA sponsors and exhibits at Safety Fest TN! Strategic Resource Alliance, LLC sponsors Safety Fest TN! Community Safety Forum Sept. 8th! Register Now! Miller by Honeywell provides trainers to Safety Fest TN! More FREE safety classes added to Safety Fest TN! The University of Tennessee provides trainers to Safety Fest TN! Eastern Kentucky University provides trainers to Safety Fest TN! Stoller sponsors Safety Fest TN! UCOR sponsors Safety Fest TN! ETEBA sponsors Safety Fest TN! ORAU sponsors Safety Fest TN! New FREE Safety Class added to Safety Fest TN! Safety Fest TN is a week of safety classes, safety seminars , a Safety Expo, and a community Safety Forum – all free of charge to anyone who registers. A complete schedule and registration links can be found at www.safetyfesttn.org. Registration is open, limited exhibition spaces and sponsorships are available. Edwards Supply Co. Inc. to exhibit at Safety Fest TN! GEM Technologies, Inc. sponsors and exhibits at Safety Fest TN! Kendall Electric sponsors and exhibits at Safety Fest TN! Rockwell Automation sponsors and exhibits at Safety Fest TN! ENERCON sponsors Safety Fest TN! Pro2Serve to exhibit at Safety Fest TN! Omega Technical Services sponsors Safety Fest TN! Industrial Emergency Response Training to exhibit at Safety Fest TN! UniTech Services Group to exhibit at Safety Fest TN! Areva sponsors Safety Fest TN! Isotek Systems joins growing list of Safety Fest TN sponsors! Container Technologies Industries, LLC Sponsors Safety Fest TN! Arc Flash? You need the NFPA 70E 2015 Overview! Spectra Tech returns for another Safety Fest TN! 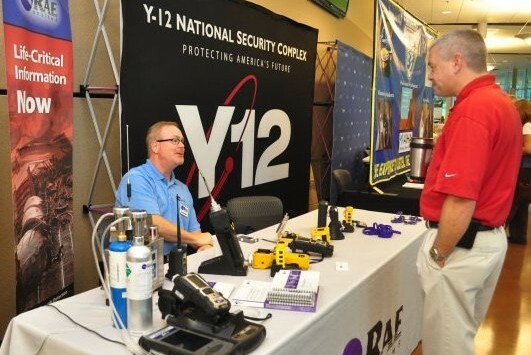 Advanced Safety & Industrial Supply to Exhibit at Safety Fest TN! Interactive Safety Products, Inc. joins Safety Fest TN as an Exhibitor! North Wind joins Safety Fest TN as a Sponsor and Exhibitor! FireKing joins growing list of Safety Fest TN sponsors! Lynx Supply, Inc. is back to Exhibit at Safety Fest TN 2014! Safety Fest TN welcomes RSI as a Break Sponsor! Safety Expo at Safety Fest TN 2014! Wastren Advantage Inc. joins Safety Fest TN as a Title Sponsor! Fatalities Investigated by TOSHA in 2013, a Safety Fest TN special class! Safety Fest TN welcomes Vaga Sales as Sponsor and Exhibitor! Safety Fest TN welcomes Nortrax as a Break Sponsor! Industrial Hearing Conservation Services, Inc. sponsors Safety Fest TN! got world class safety? A Safety Fest TN special seminar! TOSHA returns as Partner, Sponsor and Exhibitor to Safety Fest TN! Atomic City Underground features Safety Fest TN! Frham Safety Products is back for another Safety Fest TN! Street Legal Industries joins growing list of Safety Fest TN Sponsors! 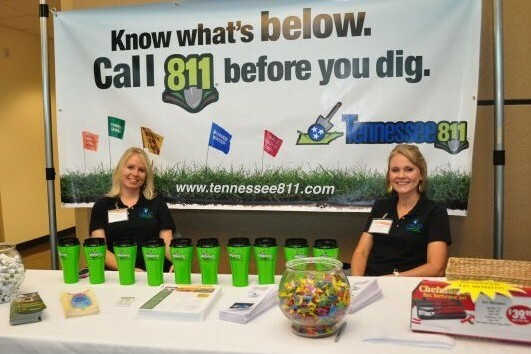 Safety Fest TN welcomes Tennessee 811 as a Sponsor and Exhibitor! Tennessee OSHA features Safety Fest TN in Newsletter! See page 6 of the Newsletter: TOSHA Summer 2014 And, please visit TOSHA’s website: www.tn.gov/labor-wfd/tosha.shtml. Safety Fest TN is pleased to welcome Mesa as a Break Sponsor and Exhibitor! Safety Fest TN Welcomes Southern Safety Supply! Safety Fest TN Welcomes back Tetra Tech for 2014! Safety Fest TN welcomes Sponsor and Exhibitor – Scientific Sales, Inc.
View the ETEBA TN Member Meeting: Jenny Freeman, Safety Topic – Safety Fest, June 26, 2014 presentation. Safety Fest TN is a week of safety classes, safety seminars , and a Safety Expo – all free of charge to anyone who registers. A complete schedule and registration links can be found at www.safetyfesttn.org. Read the DOE EM News about Safety Fest TN 2013 “EM Supports Program that Fosters Region’s Safety Culture, September 10, 2013.” Safety Fest TN is a week of safety classes, safety seminars , and a Safety Expo – all free of charge to anyone who registers. A complete schedule and registration links can be found at www.safetyfesttn.org. Read about Safety Fest TN 2013 in the Chattanoogan online Safety Fest Offers More Than 40 Free Safety And Health Courses, September 02, 2013. Read about Safety Fest TN 2013 in Safety Fest: it’s a big deal at a bargain price (free) Atomic City Underground August 8, 2013. View the Video taken from the 1st Safety Fest in Oak Ridge 2012, on YouTube. DOE ORO Public Involvement News October 2012 Safety Fest TN is a week of safety classes, safety seminars , and a Safety Expo – all free of charge to anyone who registers. A complete schedule and registration links can be found at www.safetyfesttn.org.